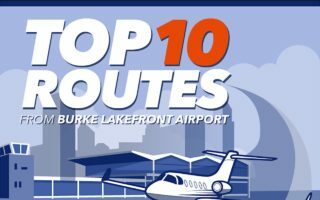 See the top ten most common routes from Burke Lakefront Airport (KBKL). Plus, we’ve included the time and distance of the flights. And the attached fee. 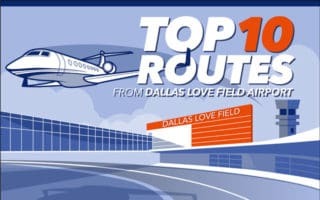 Check out the top 10 most frequented private jet routes from Dallas Love Field Airport (KDAL), complete with prices, times, and distances. William P. Hobby Airport (KHOU) is a medium-sized airport located seven miles away from downtown Houston. 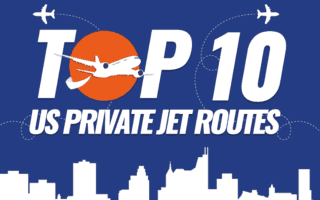 Learn about the top 10 private jet charter routes and pricing from HOU. Chicago has grown into one of the most popular cities in the US. 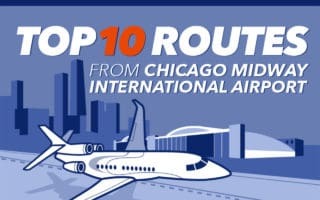 Below you’ll see a graphic which shows you some of the most common routes from MDW including times, distances and prices. 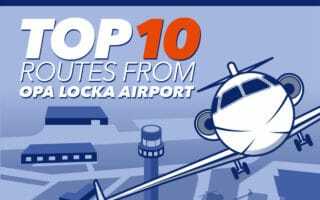 At just 11 miles from downtown Miami, Opa Locka Airport is a great option for private jet charters in and out of Miami. 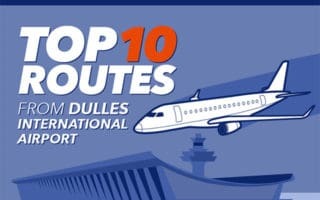 Learn about the top 10 routes from OPF. 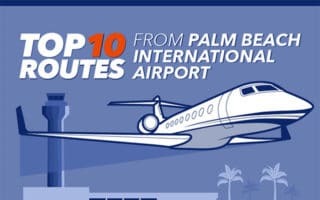 Palm Beach International Airport (PBI) is one of two airports in Florida which makes our list of the top 10 most popular airports for private charter. 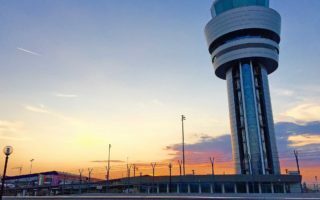 As the capital of the United States, it stands to reason that Washington’s Dulles International Airport will continue to enjoy a place as one of the most frequented US airports for private jet charter. 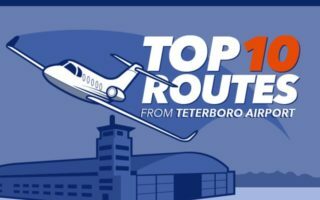 Learn about the most common private jet routes to and from Teterboro airport - one of the busiest and most popular private jet airports. The primary commercial airport in the Las Vegas Valley is McCarran International Airport. 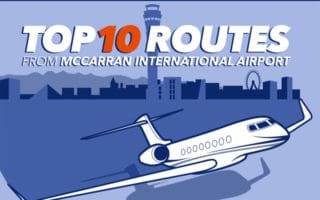 Take a look at the graphic below to discover the top 10 destinations from McCarran International Airport. If you’re looking to join the long list of private flyers at Van Nuys Airport, we have just the thing for you. 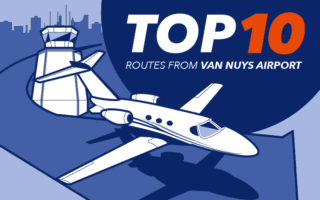 Check out the infographic below for a list of the top 10 destinations from Van Nuys Airport. 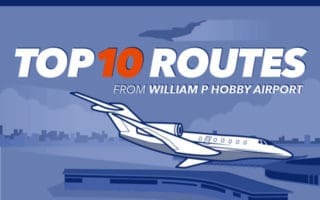 An infographic of the Top 10 US Private Jet Routes using data from ARG/US including commonly used jets for each flight, distance, time, and pricing.